New Years Resolutions Are Not Just For Humans! Home / PetproBio News / New Years Resolutions Are Not Just For Humans! With 2019 now in full swing, most pet owners have set themselves resolutions to help make the most out of their year ahead. Have you set yourself and furry friend resolutions for the year ahead? Whether you have a senior pooch or peppy pup, switching up their routine can help give them a happier and healthier life. We had a whip around the office and asked our animal loving colleagues what resolutions they set aside for their pets and we thought we’d share a few! Sometimes that walk around the block isn’t enough. Set time aside each week to explore a new path and really bond with your pup, plus with your handy Torus Bowl you can make sure that your dog has fresh and filtered water to stay hydrated throughout the stroll. New smells, new dogs to play with and new fields to stretch their legs in – your dogs will be thanking you for this extra time together. PetproBio is a tasty, natural pet probiotic feed additive for your pet’s health and overall vitality. Added to your pets daily feed, it can help with digestive issues, coat shine, immune system and even boosts metabolic efficiency. PetproBio is suitable for all pets – even horses! Make their 2019 full of energy by just adding a small amount of PetproBio into their diet each day, you’ll be amazed at the extra vitality it can offer. 3. Treat your pampered pooch with grain free treats! Dogs have little natural digestive support for breaking down and metabolizing complex carbohydrates and cereal grains. These difficult-to-digest fibres and grains remain undigested, with the body relying mainly on fermentation to break them down. Over a long period of time, this can damage the lining of the digestive system, resulting in bowel inflammation disorders, food sensitivities, food allergies, leaky gut and obesity. But that doesn’t mean we need to stop giving our pets treats! Switch to something grain-free! Here’s our favourite from Happy Dog UK, packed full of Omega 3, these meaty treats will give your pup something to wag their tail about! Help prevent your dog’s urine from ruining your well cared for lawn by using our award-winning Dog Rocks. Simply wash the rocks, place in 2L of water and allow to filter for up to 6 hours. You’ll see an improvement in your grass within 5 weeks, with that taken care of you and your dogs can enjoy the grass together. This 100% natural solution works by utilising the para-magnetic properties of the rocks to draw nitrates and tin into them, therefore removing them from your dogs’ water. 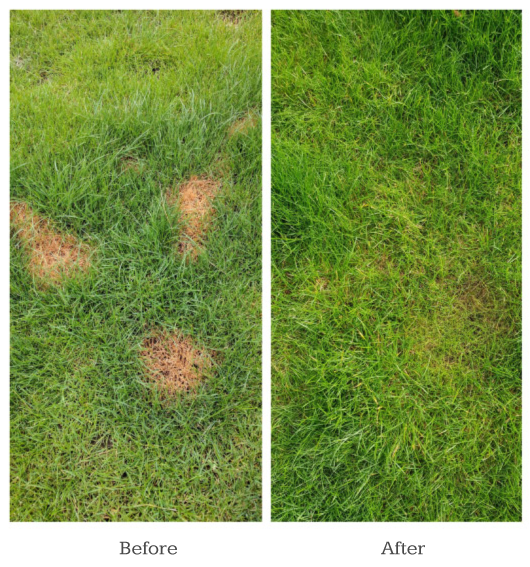 These compounds are what causes the burns on your lawn, so filtering them out provides a pet safe solution to burn patches without any extra chemicals or changing the pH of your dog’s urine. Finally, making sure there’s time set aside for your dog to have fun with their four-legged friends is a sure-fire way of keeping their spirits (and their tails!) high. Socialising with other dogs and also improve your dogs’ attitude around humans and is especially important in families with children. Here are Podium Pet Products HQ we’re intending to take our dogs to agility classes! Offering a chance to socialise and challenge, it’s a guaranteed way to bring home a puffed-out pooch.